Most essays deal with given issues which require analysis or finding a practical solution. First, essays were written by the philosopher Montaigne whose main goal was to give free form to his deliberations. By that day philosophical works had to be very strict in contents, thereby adhering to many principles of writing. Montaigne, on the other hand, preferred to write more freely, a genre which was called “essay” later. This genre grew in popularity in the 19th and 20th centuries. Currently, essays are related to journalism and blogging. People who would like to manifest their point of view on the internet usually use this genre (despite the fact that sometimes they do not know that they are writing essays). There are still other essays that attempt rather to observe and describe the given process or object instead of analyzing it. Their function is observational or descriptive. Besides, an essay could be also narrative, i.e. to tell a story from a given point of view. In the first case there is a mere description - the author of the essay only depicts the given object. In the latter case the author should tell the story of the object in question. In this sense, to describe and to narrate are different functions, but they could be combined in the so-called a descriptive narrative essay. In the current article you will get some tips on how to write a descriptive narrative essay. To describe and to narrate are different functions, but they could be combined in the so-called a descriptive narrative essay. 1. Try to remember an important occurrence in your life or the life of someone else (a friend, a relative). Usually, narrative essays attempt to exemplify a given phenomenon; let’s say friendship. For the reason that you cannot say everything you know about friendship (it will take tens of thousands of pages), you should find a good story to tell. This story should exemplify the object in question. 2. Write down everything you associate with the story. Try to make a short outline, which will keep all useful information concerning the occurrence. 3. Now start your draft. Introduce your topic in some original way. Try to catch the reader’s attention with the first sentence. Then define the concept in question and say that you are going to narrate a story exemplifying it. 4. Describe the situation in short. Just shed some light upon it: how it concerned you, why it is so important for you, who was involved, what was the lesson for you. 5. Now narrate the story. Start from its context: when it happened, where, what were the reasons for it to take place. 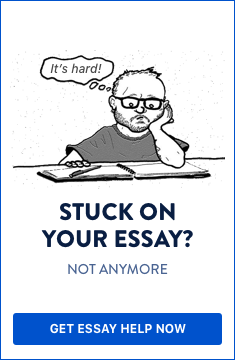 Do not forget to adhere to your outline in order not to go astray from the main idea of the essay. You should also write only about what you consider important. Not all the details could be attractive for the reader, thus you need to select them carefully. Be careful: although you are writing a descriptive narrative essay, it still needs to have some main idea, some conclusion. If it tells about friendship, then you have to clarify your concept of friendship, and so forth. 6. Reflect upon the story. Tell about your feelings and thoughts. How do you estimate this experience? Can it be interpreted otherwise? What you felt then and what you feel now when you think about this story? As you see, writing a descriptive narrative essay is far from easy. To narrate does not mean merely to tell a story; your essay should rather have a message. Thus, you need to prepare well before starting your writing. Figure out the main idea and try to give an example of it: this will be the story narrated by you.